The Weald Action Group has criticised the Oil and Gas Authority for disregarding the Horse Hill oil site when deciding if 14 earthquakes in Surrey were natural. 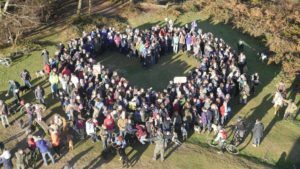 Campaigners who have been urging Surrey County Council’s Pension Fund managers to take investments out of fossil fuels staged a peaceful protest at their regular meeting this week (Friday 16 November 16), causing the meeting to be temporarily adjourned. Come and hear about the new plans for four more oil wells, one waste water well and 20 years of full production at Horse Hill drill site. Impacts include air pollution, more HGVs on the roads, acidisation being used to extract oil, noise – and all in an area recently subject to an earthquake swarm. Time is running short to engage with two important consultations, one on Permitted Development and one on Nationally Significant Infrastructure Project (NSIP). The deadline for both is 11.45 p.m. on October 25th. A campaigner has written a “Guide to Contacting MP’s and Councillors about Changes to Shale Gas Planning Applications” which we reduce below. Horse Hill Developments Ltd submitted a proposal to develop four more wells at its Horse Hill site, increasing the size of the site by a quarter and meaning more noise and HGV movements. They say the proposals would “significantly change the landscape” and have “an adverse effect upon valued landscapes”. 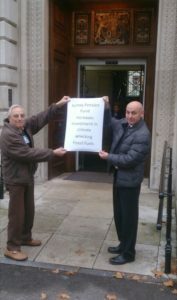 Surrey Green Party and Weald Action Group are hosting a public meeting to discuss the plans and how to oppose them. The government has two consultations running until October 25, 2018, which aim to fast-track fracking across England. They want to treat shale gas exploration as ‘permitted development’, which means there is no need to apply for planning application to do it. Although we do not have fracking for shale gas in Surrey, there is a high likelihood that this weakening of regulation of shale gas proposals will be extended to cover shale oil, which we do have, and acid stimulation, which is the technique used to extract it. There is strong opposition to the government’s attempt to undermine local democracy and cut local residents out of decision-making on shale gas proposals. At least 20 Conservative MPs are planning to rebel. Keith Taylor, the Green MEP for South East England, has produced a briefing to help individuals respond to the consultations. 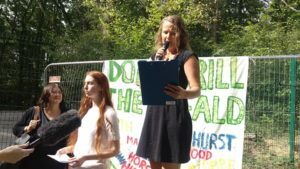 Six women from Surrey and Sussex fighting against an interim injunction application by UK Oil and Gas have vowed to fight on after a High Court judge approved it in part. Four leading seismologists and geologists have signed a letter to The Times today calling for a moratorium on hydrocarbon exploration in the area hit by 12 earthquakes. They have also written to the Business and Energy Secretary Greg Clark MP and the heads of the oil industry regulators in the same terms. 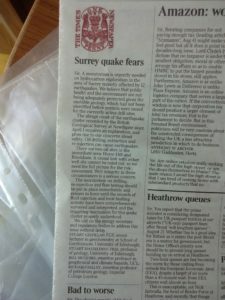 “A moratorium is urgently needed on hydrocarbon exploration in the area of Surrey recently affected by 12 earthquakes. We believe that public health and the environment are not being adequately protected given the unstable geology, which had not been identified before permits were issued for the currently active drill sites.